When an industry leader in lightweight, purpose-driven gear delivers a minimalist pack built for high-performance ski mountaineering, you bet we are going to be there for the unveiling. 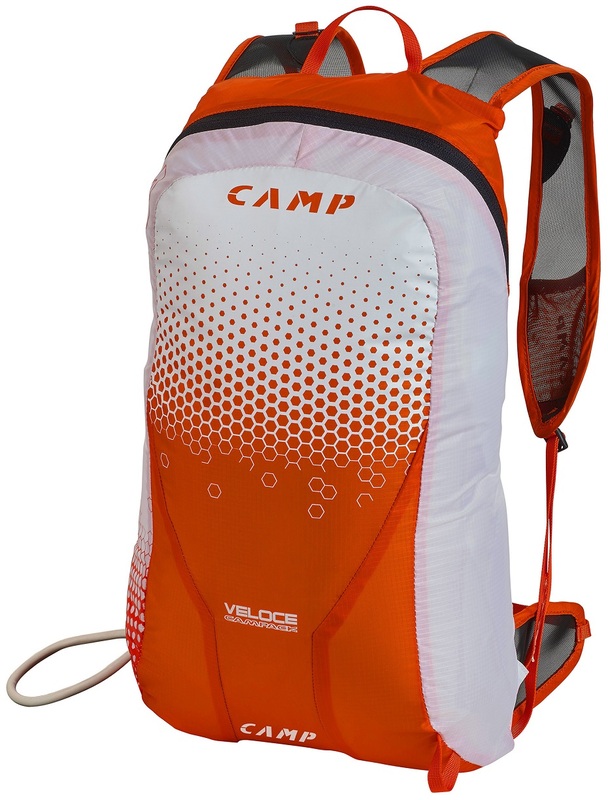 The Veloce is CAMP's lightest and most simplistic race pack, specifically designed for vertical and sprint race formats. Of course, we think the Veloce can also be used for fast dawn-patrol missions and speedy objective-skiing. CAMP uses breathable mesh on the shoulder straps and back panel to reduce sweat buildup and increase mobility, enough so that you will almost forget the pack is even there. The left shoulder strap has a pocket designed to fit a 150ml Soft Flask full of digestible rocket fuel. The right shoulder strap employs the tried-and-true sprint hook to keep transition times as low as possible. Worry-free access to your skin pockets isn't an afterthought with the Veloce as no sternum strap can be found; only a small, flexible, and adjustable hip belt. The CAMP Veloce pack has just the necessities for getting up and down a mountain quickly. X-Press ski carry w/Hook Rewind is a super-fast ski attachment system. Soft mesh back and shoulder straps are tops in breathability. Extra ski carry for a second set of skis comes in handy for team races. Internal security pocket for stashing valuables for a training session. Obviously a specific pack (barely fits more than a light arva race shovel and probe, spare skins, spare layers, and some snacks), but for what it is, awesome. 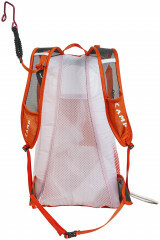 The breathable pack is a nice break and makes it feel closer to many of the good trail running vests out there. Big enough to fit gear for 2-3 hour individual races if packed right, and small enough to not be noticed when you really should have safety gear but don't want to carry a big pack. The Veloce seems to combine some of Camp's learnings from the last few years and carries skis remarkably well.